Nano-Proprietary (NP) is in a spot of bother. It needs to find a new partner in its quest to launch SED TVs on to the market, and it needs to find that partner very quickly indeed. SED (surface-conduction electron-emitter display) TVs use a combination of flat panel and CRT (Cathode Ray Tube) technology to deliver better quality than is possible with conventional LCD and plasma TV tech. CRT screens have one cathode ray tube inside them to produce light and colour. SED screens, on the other hand, have the equivalent of one nano-cathode ray tube for every single pixel. This enables the screens to be as thin as current LCD and plasmas sets, but with the colour reproduction and quality of CRT displays. Japanese camera company Canon had been the official partner of NP in the project, but it looks like Canon has blown it to the extent that it could now be completely out of the running. Nano-Proprietary sued Canon after it controversially invited Toshiba to the SED party; Toshiba knew how to make flat panels and Canon needed help. NP said that Canon had no right to share the technology with Toshiba, sued, and won. So now Toshiba is out of the frame again, and Canon's part in the project looks dead and buried too. 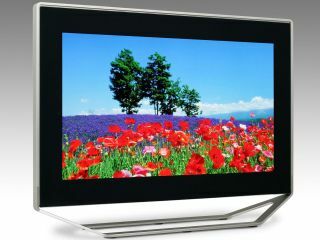 So NP needs a new collaborator, and rumours are that NP has been courting prolific LCD TV maker Samsung . At one point, SED looked like it would emerge as a real threat to LCD and plasma. The industry has been braced for the arrival of SED for some time, but with all the legal kafuffles and delays that NP has had to deal with, it now looks unlikely that anyone you know will have an SED TV in their living room any time before the end of the decade. It would certainly be a good move on NP's part if it could get Samsung on board. An SED factory needs to be built before the panels can be produced on a large scale, and Samsung would be one of the ideal companies to help get this done quickly.